If you are seeking to improve your health, vitality, and emotional well-being, an Ayurvedic Lifestyle Consultation will introduce you to a more natural diet and way of living mindfully that can start you on the path toward achieving your goal. Ayurveda originated in India more than 5,000 years ago and is the oldest codified, continuously practiced healthcare system in existence. Although it is best known in India, it is practiced all over the world. Ayurveda focuses on the whole person, acknowledging that each of us is unique. It views good health not just as an absence of disease, but also as an optimization of your body, mind and spirit. During a consultation, you will be offered guidance and simple tools that will help you move toward restoring the innate healing and self repair process within your body. You will be provided with an assessment of your underlying constitution, as well as any underlying imbalances, which can cause distress and ultimately contribute to disease. Anyone who is seeking to enhance their health, improve their emotional well-being, cultivate awareness, and create balance in their life can benefit from an Ayurvedic consultation. 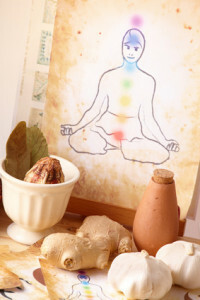 Ayurveda employs simple, practical tools that can be woven into your unique lifestyle.